People living this modern society have intimate relationship with information technology. Everything can’t be fulfilled successfully without the assistance of computer and people trust and counter on computer in an unprecedented manner. Users tend to store files and data they take important on computer for better and secure storage. Many people feel panic when encountering the problem of deleting important files by accident from their computer or laptop. This is because they deem that there is no way out to retrieve deleted files. In fact, this is a fallacy. For example, users can restore deleted files to their original location easily from Recycle Bin before files are emptied, i.e. find the deleted files from Recycle Bin and right click it, and then select the item “Restore”. After these steps the files will be restored to its original location. Whereas retrieving files from Recycle Bin can’t deal with data loss situations. Recycle Bin can’t hold all deleted files due to the limitation of space. Users have to increase the folder space, otherwise large files will be deleted bypassing Recycle Bin. Besides, once files are deleted from Recycle Bin and then users can’t recover them unless using deleted file recovery software. 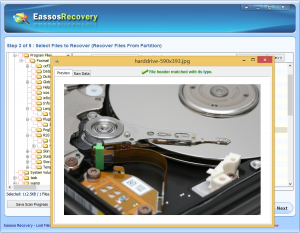 For Windows computers there are a variety of data recovery programs that you can use such as Eassos Recovery and PartitionGuru. Eassos Recovery offers improved file searching technology and file preview feature so the users can find and restore deleted files without much effort. 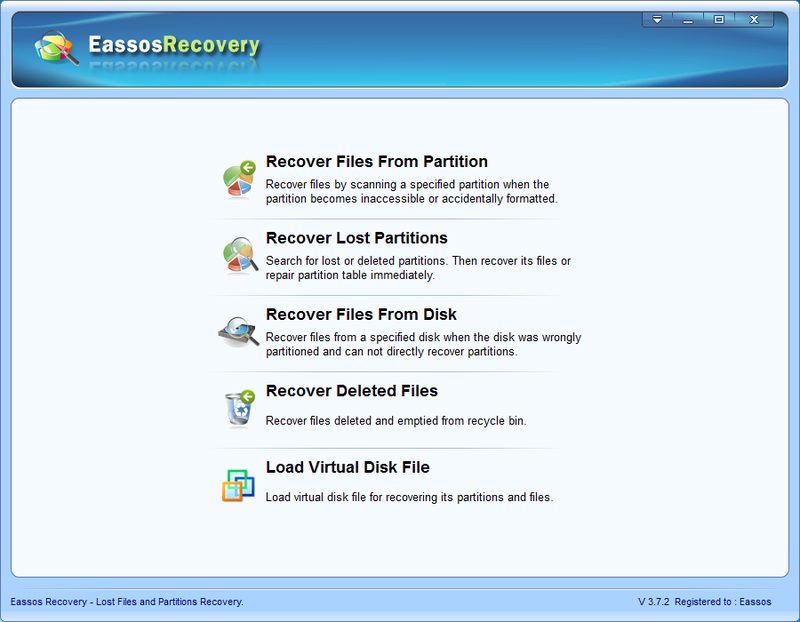 Apart from recovering deleted files emptied from Recycle Bin of Windows computers, Eassos Recovery is also capable of recover lost files and folders due to formatting, system reinstallation, virus attack, hard drive corruption, malware damage, software failure and other unknown reasons. Plus, it is compatible with various data storage media, including hard drive, external hard drive, USB flash drive, memory card, smart phone, digital camera, virtual disk, etc. 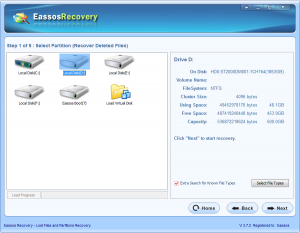 How to recover deleted files with Eassos Recovery? 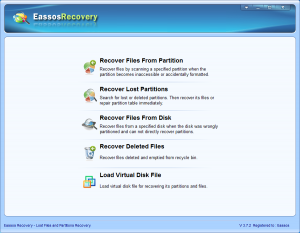 First and foremost you need to download Eassos Recovery and install it to a partition which isn’t suffering from data loss. 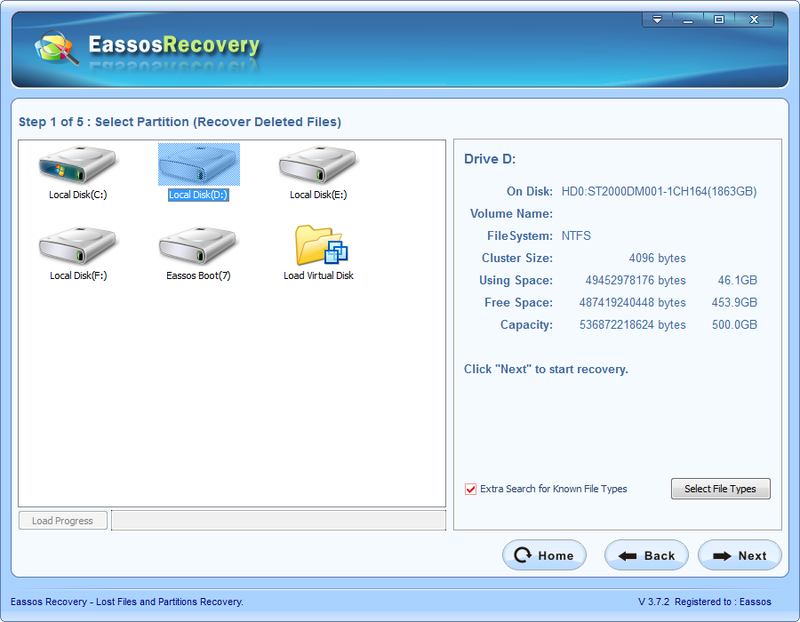 Step 1: Get Eassos Recovery started and select proper recovery mode, and then move to next step. Step 2: Select the partition where lost files were stored and click “Next” button, the software will start to search for deleted files. Step 3: After file scanning, you can preview all listed files one by one and select those you need. Then click “Next” button to get then recovered. You should set the target path to another partition or drive to avoid data overwriting. This entry was posted in Data Recovery and tagged delete file recovery software, recover deleted files software by EASSOS. Bookmark the permalink.